There are a number of costly mistakes that people make prior to retirement. A lot of these mistakes are common ones that anyone can make. Perhaps what seemed like a good strategy at the time backfires and is financially detrimental down the road. Or, maybe you were misled and didn’t receive the appropriate advice. 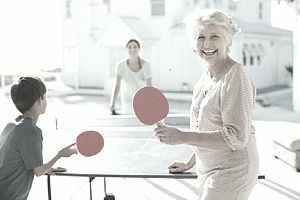 In order to avoid being a part of the retirement crisis, it’s important to be knowledgeable about these three mistakes and how to avoid them. When it comes to making retirement contributions, it’s best to max out your 401(k) if it is available from your employer. It’s important to remember that saving pre-tax via your employer’s 401(k) will actually leave you with more in your pockets than if you save after tax. Auto enrollment has helped increase the number of employees participating at some companies, but in some instances, employees are auto enrolled at saving rates lower than the amount they would have handpicked. It is important to keep an eye on it. You also have the ability to boost or catch up on your savings. Remember that some plans allow you to automatically increase the amount you contribute each year. If you are 50 or older, you may be eligible to contribute additional savings through a catch-up contribution. While investing is never going to be free, it's important to be educated about the different fees that can have a big impact on your retirement savings. Mutual fund fees. Speak to your advisor about no-load funds. These funds do not have upfront or back-end fees, nor do they have any barriers to entry or exist. You can also inquire about institutional share classes which generally have much lower annual fees. Brokerage trading commissions. Years ago, it may have cost a couple of hundred dollars (or more) to execute a securities trade. Now, you can open an online brokerage account and make a trade for less than $15. Internal mutual fund operating costs. Mutual fund managers make their living off the fund’s expense ratio. The charges vary from high-priced, “actively” managed funds that seek to outperform the market to index funds that passively track the return of the market. Mark ups on bonds and new issue securities. Be aware that advisors at big banks and brokerage firms can sell bonds and stocks from their firms' inventory, mark up the prices when they buy them for you, and keep the difference. 12-b 1 fees. 12b-1 fees are marketing fees that mutual fund companies pay to advisors and firms that put their clients in the fund. In life, you may find yourself in an unexpected financially distressed situation and feel that the only way to get extra cash flow is by taking money out of your 401(k). You should understand all of the tax penalties that go along with taking out a hardship loan as well as how it will affect your ability to access your savings. For example, if you are considering taking out a hardship loan for disability, keep in mind that you must be totally and permanently disabled to take money out of your 401(k) without penalty. If you are looking to take out money for higher education expenses, the 401(K) will charge a 10% penalty, but an IRA distribution is penalty free. Start saving early. Remember that a penny saved today is a lot more than a penny saved tomorrow. Hit $500,000 in savings for retirement. Have a plan to eliminate your mortgage by the time you’re ready to retire. Spend wisely. While you may have the funds to buy that fancy new car or big house, do you really need them?